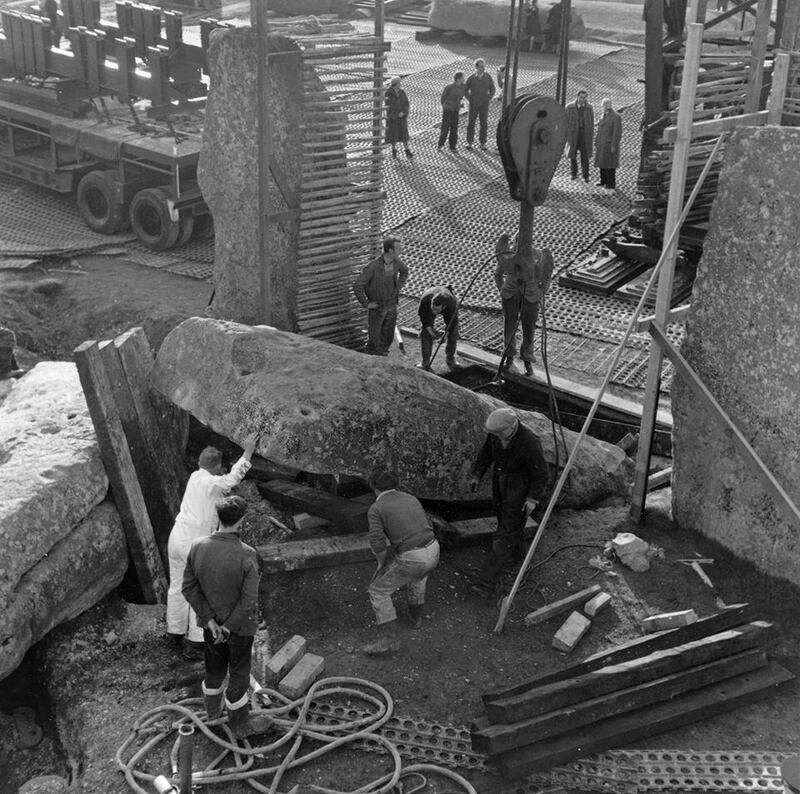 The sarsen stones of Stonehenge represent the principal building material used in the monument’s construction, of which 53 stones remain, from around 85 in the original structure. Sarsen stone is a silicified sandstone found as scattered blocks on the chalk in southern England. 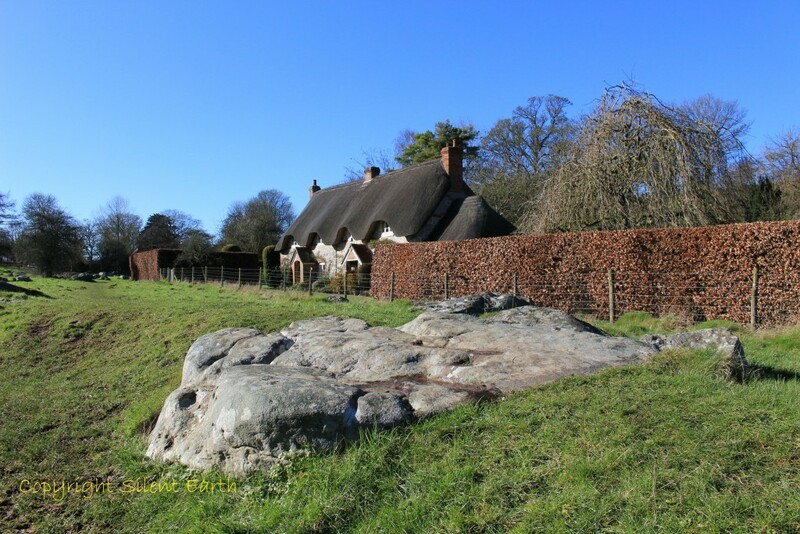 There is no significant geological source of sarsen stone in the immediate vicinity of Amesbury, only a few scattered single sarsens, such as the Cuckoo Stone and at Bulford, but no sarsen drifts. 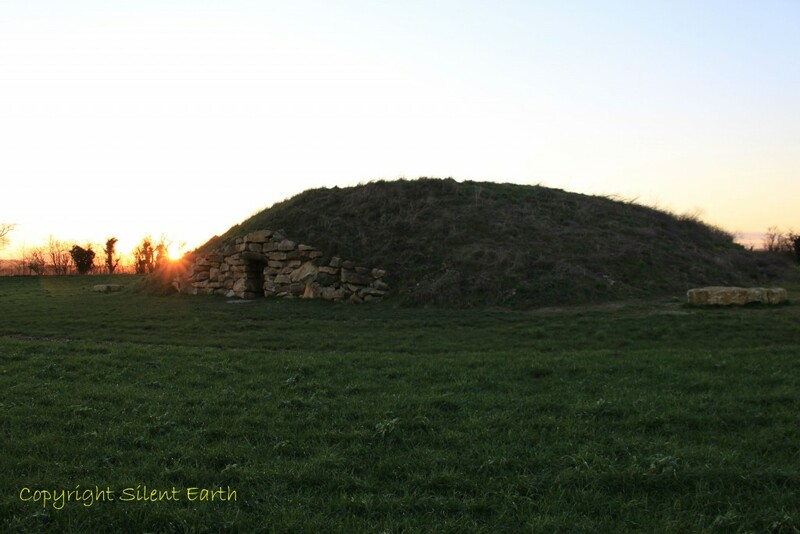 Interestingly, my friend Pete Glastonbury, the Wiltshire Antiquarian, has indicated that there is also a collection of sarsens at a long barrow near Robin Hood’s Ball that must have originated from a local source. The most likely source of these stones is currently accepted to have been the Marlborough Downs, where thousands remain, despite commercial exploitation until the early 20th century. On Thursday 18 February, a gloriously sunny morning, I was guided around one of these ‘sarsen drifts’ in the Marlborough Downs by Pete Glastonbury. We visited Lockeridge Dene, where these photographs were taken. 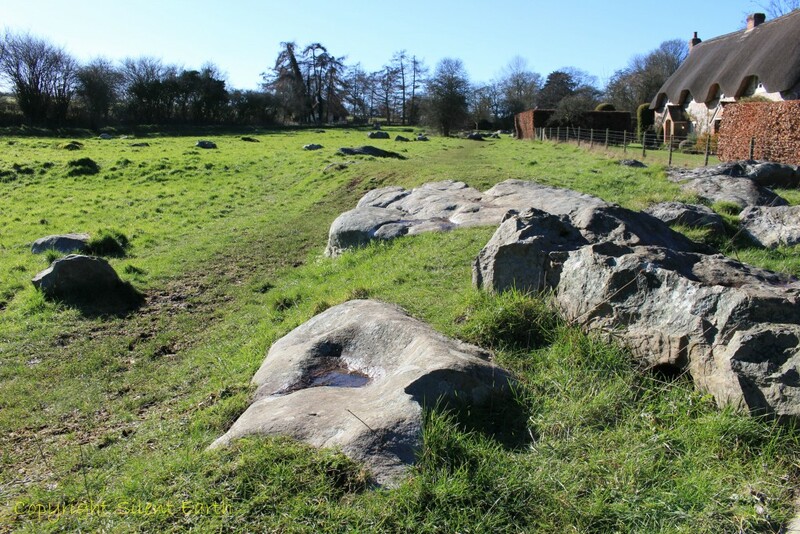 The sarsen boulders here are the remnants of a sandstone deposit that formed on the chalk over 30 million years ago. Root holes can be seen in the boulders from plants that grew when the deposit was still soft sand. Later, under a colder climate, the sandstone was broken up by ice and water. Sarsens were known locally in Wiltshire as ‘Grey Wethers’ due to their resemblance to sheep. 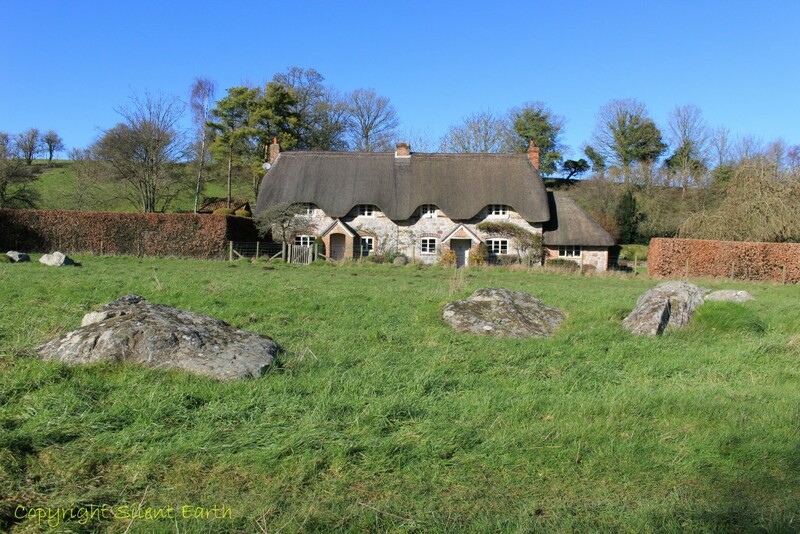 They have been used as building materials for over five thousand years, since the earliest prehistoric monuments. Sarsen stones would originally have been commonly found across this landscape. Lockeridge Dene was purchased by the National Trust in 1908, before which many of the stones had been removed for the local building industry. Evidence can still be seen where stones have been cleft in the past. 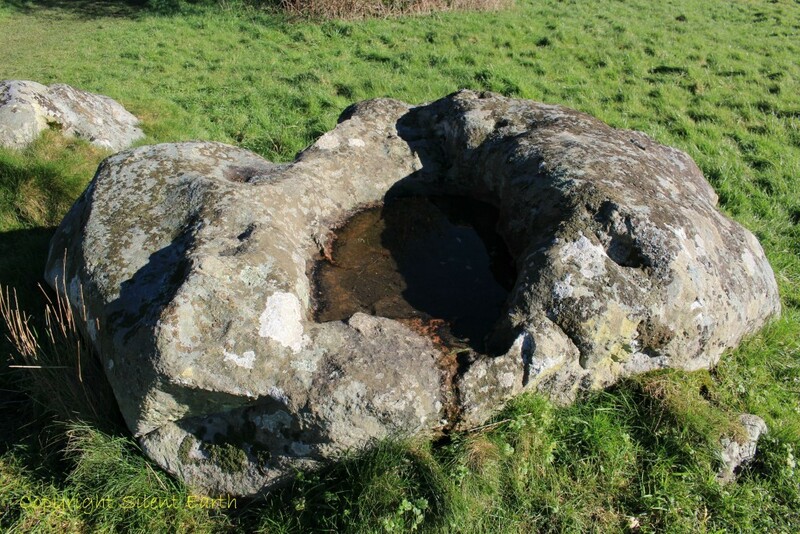 The site lies within the North Wessex Downs Area of Outstanding Natural Beauty and, along with the neighbouring Fyfield Down and Piggledene, is one of the best places to see the stones in situ. 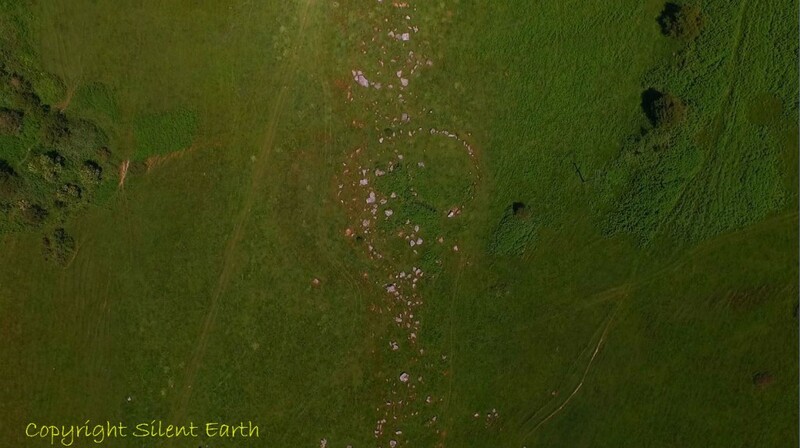 If the Stonehenge sarsens were in fact sourced from the Marlborough Downs, our Neolithic ancestors clearly possessed tremendous organisational skills and technical abilities to haul them a distance of approximately 23 miles across the Vale of Pewsey and Salisbury Plain. Neil Wiseman, author of Stonehenge and the Neolithic Universe kindly provided me with the above photograph yesterday, taken by the archaeologist Professor Richard Atkinson during restoration work at Stonehenge in the 1950s. On first viewing, I was struck by a feeling of the timelessness it evokes and the sheer human and mechanical endeavor involved in moving a stone. 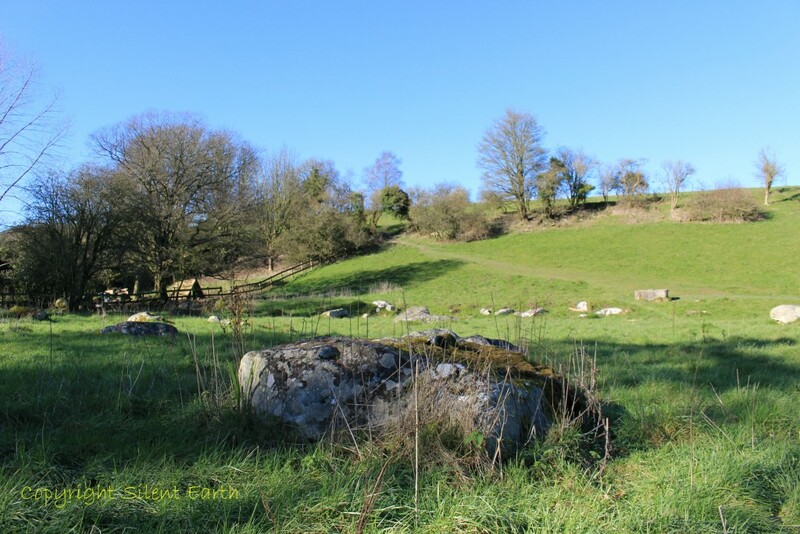 The largest stones raised were the central trilithon of the inner horseshoe and the above-ground weight alone of the surviving ‘Great Trilithon’ Stone 56 is estimated at 23.06 tons. 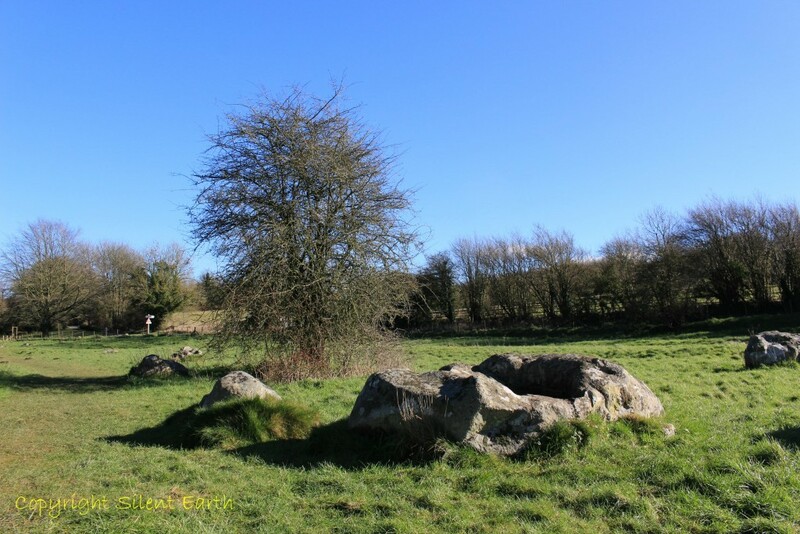 Lady Antrobus referred to this stone as ‘King of the Mystic Circle’. 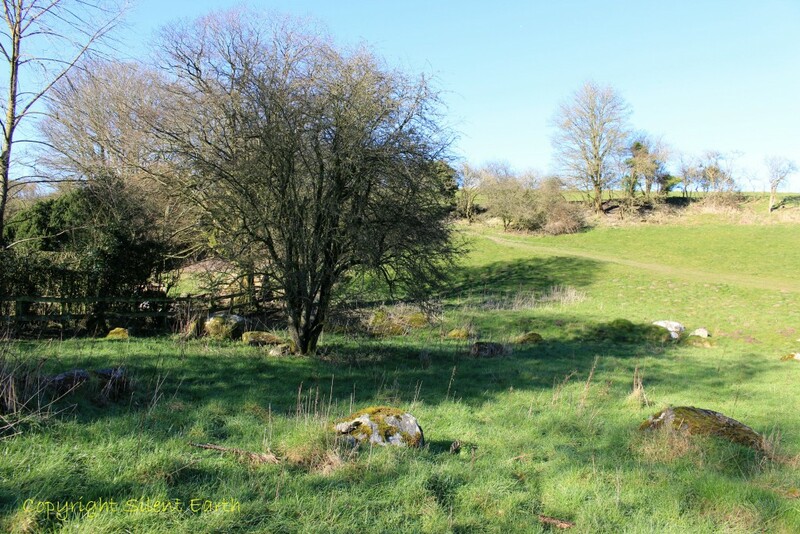 The above photograph illustrates a circular depression in the ground, an area used for burning and clefting the stones as they were prepared for removal from Lockeridge Dene. There are other schools of thought that suggest the sarsens — or at least some of them — were hauled from alternative drifts, such as the one at the Valley of the Stones in Dorset, shown above. 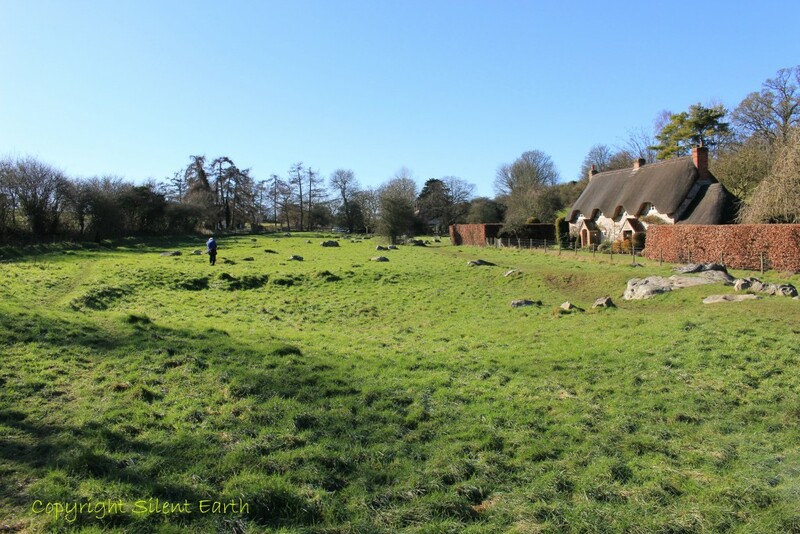 Until a fuller investigation of sarsen mineralogy is carried out, as with so many aspects of monument, the true source of the sarsen stones of Stonehenge will remain a mystery. 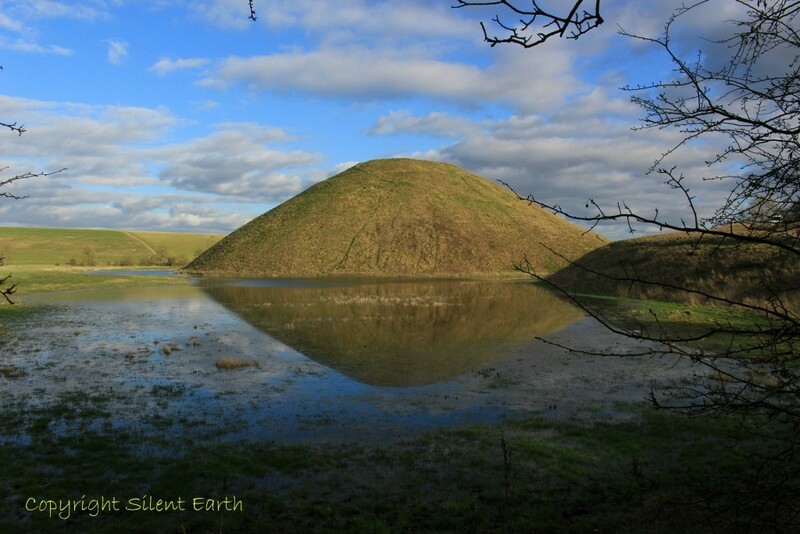 On the return drive south through Wiltshire, we stopped at Silbury Hill, West Kennet Long Barrow and the Long Barrow at All Cannings, but those stories will have to await for another day. Thank you to my guide on the day, Pete Glastonbury, the National Trust for information, and Tim Daw for access to the Long Barrow at All Cannings.